TED Radio Hour: Sir Ken Robinson: How Do Schools Suffocate Creativity? Sir Ken Robinson makes the case for a radical shift from standardized schools to personalized learning — creating conditions where kids' natural talents can flourish. He champions a radical rethink of our school systems to cultivate creativity. How Do Schools Suffocate Creativity? < How Do Schools Suffocate Creativity? This is the TED RADIO HOUR from NPR. I'm Alison Stewart. NEAL ELLIS: And I'm Neal Ellis. Despite years of putting up with underperforming teachers, overcrowded classrooms and a gradually deteriorating educational experience, American students reluctantly announced today they will give the nation's public school system yet another chance this fall. DAVID: They say every year is going to get better - and it never does. ELLIS: Sixth-grader David Ruggles says he doesn't have much choice. DAVID: My future's at stake here. ELLIS: Sixth-grader Ella Johnson says she's losing patience. ELLA: I don't know; maybe I am being silly, expecting things to change. But all I want is a good education. Is that really so much to ask? STEWART: Whoa, whoa, whoa, whoa, wait. Hold the phone. Guys, you've got to stop. Dear listeners, we're having a little fun with you. And in case you were taken in by that news story, it was completely fake - courtesy of our friends at The Onion. And we did it to illustrate a point. We've all heard news stories about failing schools. Harsh, depressing, hopeless - but does it really have to be that way? On this episode of the TED RADIO HOUR, we're talking about how to build a better classroom. And we're looking to a few TED speakers to help show the way to an education revolution. TED brings together dynamic thinkers from all areas of expertise and study, and gives them the opportunity to give the talk of their lives. One of the most popular TED talks was given by Sir Ken Robinson. SIR KEN ROBINSON: Mind you, my - my daughter pointed me to a short video on YouTube - it's 90 seconds long - of two kittens having a chat. And that's been downloaded 60 million times, you know, so I'm, I'm not getting carried away. STEWART: He's a cultural leader who's thought a lot about the significance of creativity in the education system, and the economy. ROBINSON: It's been great hasn't it? It's been - I've been blown away by the whole thing. In fact, I'm leaving. STEWART: Of course, Ken did stay. His talk looked beyond surface reform, and got to the heart of a more systemic problem in education. ROBINSON: Yeah, the big idea behind the TED talk - 'cause you only have 18 minutes, so you have to focus on something - is an idea that's preoccupied me for a very long time; which is the ways in which schools tend to inhibit creativity in general, and individual talents in particular. There's a terrible tendency to confuse raising standards with standardizing. You know, in my experience, if you personalize education, if you customize it, if you engage children's imaginations - or students at any age, you get much higher results and much deeper commitment, and a far more resilient process of education. ROBINSON: ROBINSON: ...my one night out all week. But if you ask people about their education, they pin you to the wall. Because it's one of those things that goes deep with people, am I right? And - like religion and money, and other things. So I have a big interest in education. I think we all do. We have a huge, vested interest in it, partly because it's education that's meant to take us into this future that we can't grasp. If you think of it, children starting school this year will be retiring in 2065. Nobody has a clue, despite all the expertise that's been on parade for the past four days, what the world will look like in five years' time - and yet we're meant to be educating them for it. So the unpredictability, I think, is extraordinary. My contention is that creativity now is as important in education as literacy, and we should treat it with the same status. STEWART: When you say creativity in the educational format, what do you mean? And when you say literacy, what do you mean? ROBINSON: Well, creativity is probably the most fundamental set of capacities that distinguishes us as human beings. And from it flows a whole range of practical capacities that we call creativity. I define it very particularly, as the process of having original ideas that have value. And everything that's distinctive about human culture - the fact we're speaking thousands of miles apart, across these extraordinary technologies; the fact we're in buildings at all; the fact that people can listen to it; science; technology; the arts; music; languages - they all grow from this tremendously fertile power we have to imagine, and to create things. So when I say it's fundamental, it predates literacy. It's absolutely at the heart of what it is to be a human being. And there are lots of misconceptions about it. People think they're not creative, because they think it's only about the arts. I'm a staunch advocate of the arts and education, but this isn't just about the arts. I think it's a catastrophe when arts programs are cut from schools. But you can be creative in science, in maths, in technology and history, and anything that really - that's touched by human intelligence. And literacy is a great example of the extraordinary flowering of human intelligence; the ability to record thoughts and to respond to them, to understand them, to interpret them. The parallel, I think, is this - that creativity encompasses literacy. And I - I ran a large commission in the U.K. a number of years ago, and I remember the secretary of state saying - you know - creativity is very important, but we need to promote literacy first. And it seems to me, that's a complete misunderstanding. It's like saying, we'll bake the cake and if it's nice enough, we'll put the eggs in afterwards. Because one of the ways you get kids to read and write and to be interested in these - cultural process is to fire up their imaginations; give them interesting stuff to read, give them challenging things to write. These aren't opposites, they're complementary processes that help to define what it is to be a human being. STEWART: You tell this great story about the little girl who draws a picture of God. ROBINSON: I had a great story recently - I love telling it - of a little girl who was in a drawing lesson. She was 6, and she was at the back, drawing. And the teacher said this little girl hardly ever paid attention and in this drawing lesson, she did. And the teacher was fascinated. She went over to her and she said, "What are you drawing?" And the girl said, "I'm drawing a picture of God." And the teacher said, "But nobody knows what God looks like." And the girl said, "They will in a minute." ROBINSON: Kids will take a chance and if they don't know, they'll have a go. Am I right? They're not frightened of being wrong. Now, I don't mean to say that being wrong is the same thing as being creative. But what we do know is, if you're not prepared to be wrong, you will never come up with anything original - if you're not prepared to be wrong. And by the time they get to be adults, most kids have lost that capacity. They have become frightened of being wrong. And we run our companies like this, by the way. We stigmatize mistakes. And we're now running national education systems where mistakes are the worst thing you can make. And the result is that we are educating people out of their creative capacities. STEWART: At what point in that little girl's educational life, Ken, do you think she would not have given that answer? At what age, grade level would that have been taught out of her? ROBINSON: It's hard to put an exact date on it. And it's not only, I should say, the culture of standardized testing. Other things factor in. You know, one of them is that children reach a certain age - you know, maybe 7, 8; sometimes earlier - where they start to become self-conscious. They might draw freely or sing freely or make music freely, but then they become aware of other people's judgments of them; or they become aware of other standards out in the field. And they start to think, well, I'm not as good as that; or, I can't do that. And so they start - in any case, sometimes - to be a bit inhibited. But it's also because there reaches a point in all of our development where, so to speak, our ambitions outrun our ability. You know, we can't quite do what we'd like to be able to do. But then that gets compounded - that's my point - in schools, where the whole emphasis is on the one right answer; where imaginative thinking is actively discouraged; where this culture of standardized testing and conformity affectively stifles creative thinking in every field. You know, if you're promoting an education where there's only one right answer; and don't look, it's in the back; and if you get it wrong, you're in trouble - that's hardly a good climate for cultivating the powers of creativity and innovation. And it really matters that we should. That's my point. This isn't a trivial argument. I think this is a really strategic and fundamental argument. ROBINSON: Our education system is predicated on the idea of academic ability. And there's a reason. The whole system was invented 'round the world - there were no public systems of education, really, before the 19th century. They all came into being to meet the needs of industrialism. So the hierarchy is reached on two ideas. Number one, that the most useful subjects for work are at the top. So you were probably steered benignly away from things at school - when you were a kid - things you liked, on the grounds you would never get a job doing that. Is that right? Don't do music, you're not going to be a musician; don't do art, you won't be an artist. Benign advice; now, profoundly mistaken. The whole world is engulfed in a revolution. And the second is academic ability, which has really come to dominate our view of intelligence - because the universities designed the system in their image. If you think of it, the whole system of public education around the world is a protracted process of university entrance. And the consequence is that many highly talented, brilliant, creative people think they're not. Because the thing they were good at, at school wasn't valued - or was actually stigmatized. And I think we can't afford to go on that way. STEWART: In your talk, you ask the audience to remember that - what intelligence really is, and you offer three ideas. ROBINSON: We know three things about intelligence. One, it's diverse. Secondly, intelligence is dynamic. And third thing about intelligence is, it's distinct. STEWART: Tell me a little bit, why each one is important. ROBINSON: So one of the problems is that in education, there's this rather narrow view of academic ability. And academic ability is important, but it's a very particular sort of activity. It's a capacity for a certain type of critical reasoning. It's why kids spend so much time in school writing essays and doing low-level, clerical work. The thing is, though, the human intelligence is much more expansive than that. You know, we have a capacity for architecture, for practical things, for making, for cuisine, for music, for applied science, for business. You know, the whole - kind of rich diversity of human culture is an expression of the fact that intelligence itself is so diverse. So the diversity of intelligence, to me, is terribly important because our schools, by narrowing the curriculum, ostracize whole areas of children's intelligence. And some children whose intelligence only shows itself in that way, end up being marginalized and distressed by it. Intelligence is highly dynamic; yes, it's interactive. You know, the human brain is intensely interactive. And most of what happens in - to move the world forward comes from people making connections between different ways of thinking, across borders; across disciplines. Schools tend to frustrate the principle of dynamism because they become rigidly organized into separate subjects and to - into age groups, and it's highly distinct. And I was saying this recently, you know; that every one of us is a unique moment in the whole of human history. And there's never been anybody like you before; there won't be like - anybody like you again. Nobody will ever have your life again. In schools, though, with the emphasis on conformity and standardization, all these individual differences get bleached out. And it's why so many kids end up dropping out of school, or withdrawing from it emotionally. So those three things - the diversity, dynamism and uniqueness of human intelligence - certainly at the heart of the kind of education systems we should have. And they also represent, to some extent, the dynamics of creativity. STEWART: We're speaking with Sir Ken Robinson. And coming up, after the break, we'll hear more from Ken about what an education revolution might look like. 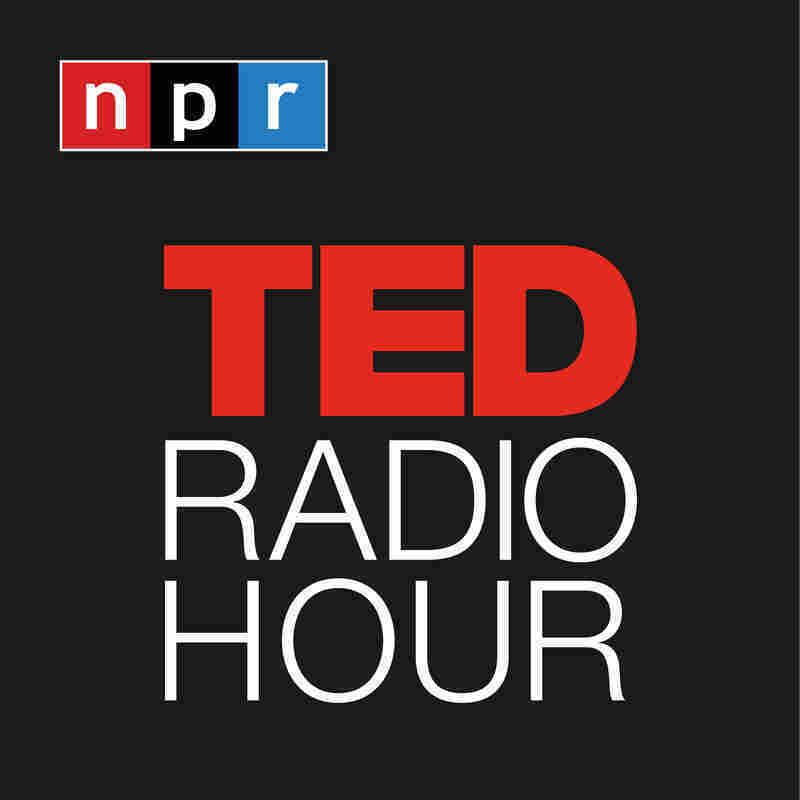 You're listening to the TED RADIO HOUR, from NPR. STEWART: That's Sir Ken Robinson, a world-renowned expert on education and innovation. We've been discussing how creativity is often suffocated in the classroom, and it's not just the arts. Ken says people can be creative in math and science; and he cautions against dismissing students' natural interests, even if they don't have a thing to do with formal education. Here's Ken in his second TED talk he gave, in 2010. He tells the story about meeting a man who thankfully, ignored his teacher. You'll see why. ROBINSON: I was up in San Francisco a while ago, doing a book-signing. There was this guy buying a book, and he was in his 30s, And I said, what do you do? And he said, I'm a fireman. And I said, how long have you been a fireman? He said, always; I've always been a fireman. And I said, well, when did you decide? He said, as a kid. He said: Actually, it was a problem for me at school because at school, everybody wanted to be a fireman - he said - but I wanted to be a fireman, you know. And he said; When I got to the senior school, my teachers didn't take it seriously. This one teacher didn't take it seriously. He said I was throwing my life away, if that's all I chose to do with it; that I should go to college, and I should become a professional person; I had great potential, and I was wasting my talent to do that. And he said: It was humiliating because he said it in front of the whole class, and I really felt dreadful. But it's what I wanted and I - as soon as I left school, I applied to the fire service, and I was accepted. And he said: Do you know, I was thinking about that guy recently - just a few minutes ago, when you were speaking - about this teacher - he said - because six months ago, I saved his life. ROBINSON: He said: He was in a car wreck. And I pulled him out, gave him CPR. And I saved his wife's life as well. He said: I think he thinks better of me now. ROBINSON: ...at the heart of the challenge is to reconstitute our sense of ability, and of intelligence. This linearity thing is a problem. When I arrived in L.A. a few years - well, nine years ago, I came across a policy statement, very well-intentioned, which said college begins in kindergarten. No, it doesn't. ROBINSON: It doesn't. If we had time, I could go into this, but we don't. Kindergarten begins in kindergarten. A friend of mine once said, you know, a 3-year-old is not half a 6-year-old. STEWART: There's an interesting point you make in your talk - that maybe the college degree really isn't worth what it used to be worth, and that in terms of education, if you went to college, once upon a time that was really something; like, you went - you, you're going to college! And now, the way that our education system is, in some ways it just seems like another four-year receptacle. ROBINSON: It's a point I'm very keen to emphasize; that we've become obsessed with college. And I don't mean to say that you shouldn't go to college, or you shouldn't encourage your kids to go to college, if they want to go. But it's become almost uncritically accepted as the natural thing that happens after high school; that you have to go to college and if you don't go to college, you're - you've somehow lost the game. And in the meantime, the obsession with college is demeaning all the other routes into working life. We've created this ridiculous situation where we prioritize academic work over what we call vocational programs. You know, if you're going into a practical working role - you know, whatever it is; you - you might want to be a chef, or you might want to do social work; you know, you can name them. All the myriad activities on which a healthy community depends, tend to be demeaned by this obsession with getting kids to the Ivy League. And the assumption is that if you get to the Ivy League, you won. And everybody else, they're all also-runs(ph). So the - the result of it is, we have this kind of apartheid in education as well, which is unjustified and eventually, I think, catastrophic. So I'm not saying we shouldn't send kids to college, but I think parents should at least pause and ask - and kids should ask - is this the right thing for me right now? Do I know why I'm going? Do I need to go immediately? Or maybe I'll go and work for a few years and then, by then, I might know why I want to be there. I talk to a lot of graduate students, you know, and they say, I wish I'd gone to college later, 'cause if I'd gone in my late 20s, I would have understood why I was there, and I would have got more from it. ROBINSON: I meet all kinds of people who don't enjoy what they do. They simply go through their lives getting on with it. They get no great pleasure from what they do; they endure it rather than enjoy it, and wait for the weekend. But I also meet people who love what they do, and couldn't imagine doing anything else. If you said to them, don't do this anymore, they'd wonder what you were talking about. Because it isn't what they do; it's who they are. They say, but this is me - you know. It would be foolish for me to abandon this because it speaks to my most authentic self. And it's not true of enough people. In fact on the contrary, I think it's still true of a minority of people. And I think there are many possible explanations for it. And high among them is education because education, in a way, dislocates very many people from their natural talents. And human resources are like natural resources; they're often buried deep. You have to go looking for them; they're not just lying around on the surface. You have to create the circumstances where they show themselves. And you might imagine education would be the way that happens. But too often, it's not. Every education system in the world is being reformed at the moment, and it's not enough. Reform is no use anymore, because that's simply improving a broken model. What we need - and the word's been used many times during the course of the past few days - is not evolution, but a revolution in education. This has to be transformed into something else. STEWART: Ken, what would that something else look like? ROBINSON: I think we need to move from an industrial model of education to a much more personalized form of education. The culture of education is like an industrial model; it's like a factory. If you look at it, you know, we still educate people by age groups - as if the most important thing they had in common is how old they were. We divide the day up into 40-minute bits, and ring bells in between. We divide subjects from each other. So it's an industrial model, which inherently promotes conformity. And my argument is that all of that may have worked for the industrial economy, but there are big reasons to change it. One of them is economic. The world is changing faster than ever and America - for example - depends upon, now, a really strong base of innovation. IBM published a report recently, where they interviewed 3,000 CEOs of companies across the whole world. And they all said that their top priority is how to promote companies that are creative. This is the big irony, I think, in all of this; that the emphasis on conformity in education is there of - because of what politicians often think are the needs of the economy. But if you speak to people in business - as I do, a lot - all they want to talk about is - is innovation and creativity. And they say, we're getting all these kids coming from colleges; highly qualified, but they can't think differently, and they can't work in teams anymore because they're being homogenized by their education. But in the end, all education is personal. It was for you; it was for me; it is for everybody that goes through it. We need an education system that's sensitive, and which is tuned into how people think and how they work best; what their own learning styles might be. So the schools of the future - I mean I, I think we have to go back to having a much broader curriculum. We have to give equal weight to the arts, to the sciences, to humanities, physical education, math and science. They're all equally important, not more or less important. I think we need to redefine learning communities. Some people choose to educate their kids at home now, and do a very good job of it. But you do want a greater flexibility of choice. That's my point. So that's why I think we need a revolution. It's not just a question of hand-polishing bits of the current system. We really need to rethink some of the fundamentals of the system. ROBINSON: We have to recognize that human flourishing is not a mechanical process; it's an organic process. And you cannot predict the outcome of human development. All you can do is - like a farmer - is create the conditions under which they will begin to flourish. So when we look at reforming education and transforming it, it isn't like cloning a system. It's about customizing to your circumstances, and personalizing education for the people that you're actually teaching. And doing that, I think, is the answer to the future - because it's not about scaling a new solution. It's about creating a movement in education, in which people develop their own solutions but with external support based on a personalized curriculum. Now in this room, there are people who represent extraordinary resources in business, in multimedia, in the Internet. These technologies, combined with extraordinary talents of teachers, provide an opportunity to revolutionize education. And I urge you to get involved in it because it's vital not just to ourselves, but to the future of our children. Thank you. STEWART: Ken Robinson, thanks for being on the TED RADIO HOUR. ROBINSON: It's a pleasure, thank you. STEWART: Sir Ken Robinson. He's author of the book "The Element: How Finding Your Passion Changes Everything." To watch both of Ken's TED Talks, and others on the "Intersection of Creativity and Education," go to TED.com.